Competition is open to any market hog, barrow, or gilt of any breed or crossbreed born after January 1st of the current year. All swine entered must be free of disease. The swine committee reserves the right to reject any entries they feel unfit or unsound (due to limited mobility or injury) for the health of the show and sale. A health certificate dated within the last 30 days for each entry must be presented to one of the Swine Committee Chairmen before the swine is placed in a pen. The Junior Swine Show is open to Clarke County 4-H and FFA previous swine project members who are enrolled by January 1 of the year of the show. All new swine project members must be enrolled in the Clarke County 4-H or FFA program and declare a project by March 1 of the year of the show. All swine entries must be nominated, weighed-in and tagged at the official project weigh-in held the first Saturday in June, year of the show. Five entries may be weighed in at June weigh in. Up to 3 entries may be shown at the fair – 2 of these may be shown in market class and 1 may be shown in the gilt class. All exhibitors are only allowed to sell 2 entries in the livestock sale on Saturday. The Swine committee recommends a weight of at least 80 pounds at the initial weigh in for all entries. At Monday weigh in, all swine entries are to be clean with ear tags free of debris and CLEARLY visible before being taken out of their pen to weigh. All market hogs must be weighed on Monday at approximately 7:00 am, and divisions will be determined by weight. All hogs must weigh between 220 and 300 pounds to be eligible to sell in the Junior Livestock Sale. All division winning market hogs will be eligible to compete in the Grand Champion market drive, and the second place market hog in the division from which the champion came from is eligible to compete for the Reserve Champion market hog as well as the remaining division winning market hogs. All hogs not weighing at least 220 pounds or weighing over 300 pounds at fair weigh-in will not be eligible to show in the market classes at the fair or sell in the Junior Livestock Sale. Exhibitors can use these pigs in the showmanship competition, and they will be shown in overweight and underweight classes after the end of the regular market show. (Note: Over and underweight animals will not be eligible for championship class and will be shown after the champion has been selected). All market hogs will be graded. All hogs must be kept in their pens between 6:00 p.m. and 8:00 p.m. each night, except the night of the show. While in the show and sale ring, hogs may only be guided by canes or tubes. No whips or crops are allowed at any time. Any other devices must be approved by the Swine Committee. The number of hogs sold by one (1) exhibitor is limited to two (2). All hogs must be cleaned thoroughly before entering the sale ring. Four tenths of 1% of the sale price of hogs will be withheld for pork referendum. To recognize hog buyers, $5.00 will be retained from the proceeds of each hog sold to purchase a newspaper advertisement. PENS MUST BE STRIPPED OF OLD BEDDING AND REBEDDED WITH FRESH BEDDING TWICE DURING FAIR WEEK. THE DESIGNATED TIMES WILL BE AT LEAST ONCE BEFORE SHOW DAY AND ONCE BEFORE SALE DAY. Pigs with body hair length less than one-half inch are not eligible for the show. The swine barn will be closed during the swine weigh-in and after 5:45 p.m. the day of the show and during the show. Only committee members or designated volunteers are permitted. All waterers must be left on from the time of initial weigh in until the animal is removed from the fairgrounds. Handles will be taken off of all water valves on the Sunday of the Fair to ensure all water is left on. The Swine Committee reserves the right to amend and interpret these rules and regulations as they see fit. The intent to have gilt entries at the 2019 Swine Show must be on your fair exhibit registration form which is due May 15, 2019. Your 4-H or FFA Advisor will need to confirm your participation in a gilt project before a gilt entry may be brought to the 2019 fair on Sunday. Youth must complete the breeding section of their project book to be eligible to show gilt the following year. Please always make sure you have the proper Gilt project book by June weigh in. Animals entered in the gilt class (now the Breeding Gilt Class) are not eligible for the 4-H FFA Livestock sale. Only Swine shown in the market classes may be sold. *Showmanship classes will be divided into Novice, Junior, Intermediate and Senior. 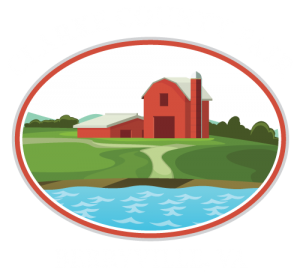 Novice Showmen will be those youth who have not shown swine as a 4-H or FFA project previously at the Clarke County Fair. Junior Showman will be those exhibitors who will be 9, 10 and 11 years of age as of September 30, 2019. Intermediate showmen will be those exhibitors who will be 12 and 13 years of age as of September 30, 2019 and Senior Showmen are those exhibitors who will be 14 years of age and older as of September 30, 2019. A $25 cash award will be presented to the outstanding youth swine exhibitor by Barbara Morris in memory of James H. Morris. This award is a reflection of the exhibitor’s showmanship abilities, animal and pen care, and respect towards other exhibitors during fair week. 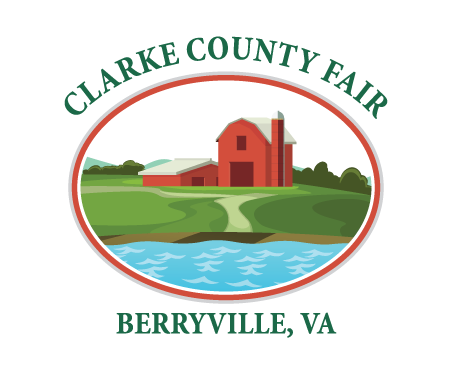 Banners will be presented to the Champion and Reserve Champion from the Novice, Junior, Intermediate, and Senior Showmanship divisions by the Clarke County Ruritan Club. In memory of Floyd Lofton, SMIDLEY Feeder Dealer, a $25.00 cash award will be presented to the exhibitor of the Overall Champion Market Hog. The Virginia Pork Industry will award a silver tray to the sweepstakes winner in the Junior Market Hog Show. The winner is to be selected by the total number of points accumulated in the show by the following systems: 1st- 5 points; 2nd-4 points; 3rd- 3 points; for placings in the single classes, pen classes, and fitting and showing classes. In case of a tie, the tying exhibitor placing highest in the fitting and showing class will receive the award. In memory of Mrs. Geraldine Lofton, a $50.00 cash award will be presented by the Lucky Leaf 4-H Club to the youth who does the best job of presenting his/her project during fair week. This will be divided equally among the exhibitors if more than one exhibitor’s projects are in the same pen. In memory of Mr. Floyd Hoff and Mr. Jock Hoff, a banner will be presented to the exhibitor for the Reserve Grand Champion Market Hog by an anonymous donor. The L. Floyd Jenkins Swine Award has been established in memory of Mr. L. Floyd Jenkins. This award is to be given to the exhibitor of Grand Champion Market Hog each year. Mr. Jenkins believed in honesty, hard work and responsibility. These characteristics can be developed at an early age by raising and caring for livestock. Hard work should be rewarded and respect should be earned, not given. The exhibitor of the Grand Champion Market Hog will receive a plaque and a check.